Let bad hair days be bygones! 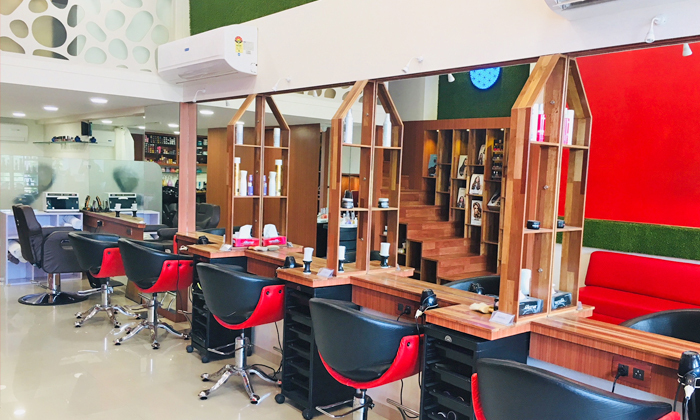 Located in Memnagar, Ahmedabad, Isaabelle Unisex Salon is a one-stop solution for all beauty needs. They offer their customers beautifying services, head to toe packages, skin care, hair care solutions & more for both men & women. The staff is highly skilled and they are well versed with the styles and trends. The ambiance is chic, vibrant and spacious. So head to Isaabelle Unisex Salon and get back your smile again!